The SRAM NX crankset delivers Eagle™ styling and performance to the newest addition to the Eagle™ ecosystem. 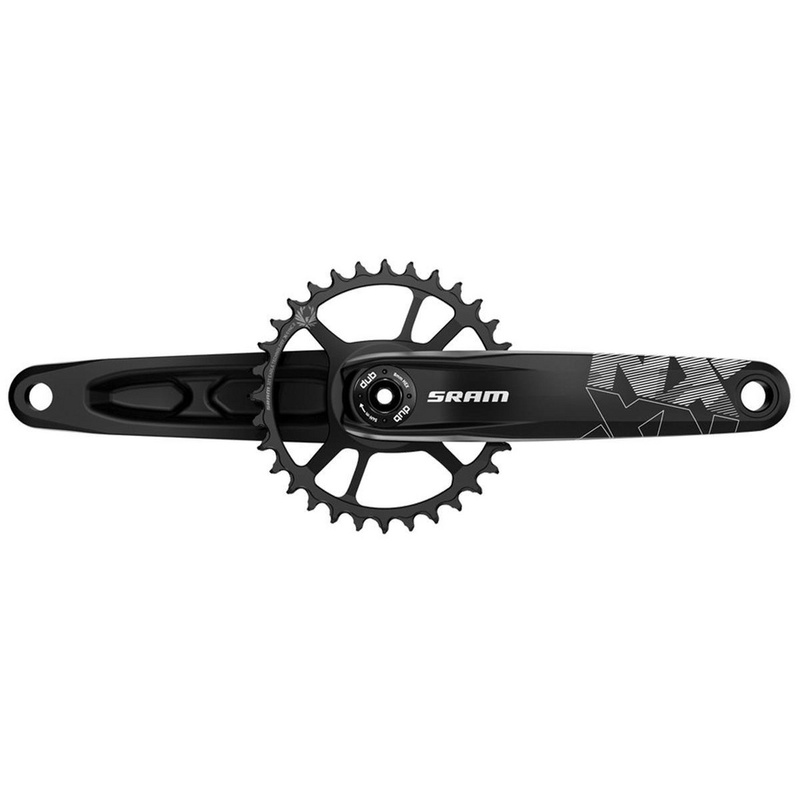 Designed for SRAM’s X-SYNC™2 chainrings, the NX crankset is engineered for complete chain control-each tooth’s profile is precisely engineered to work quietly, efficiently and securely with the Eagle™ chain’s inner and outer links. DUB™ technology features a better-engineered bottom bracket and a new spindle design, which together allows for a more uniform approach to bottom bracket fitment, better sealing against contamination and forward and backward compatibility. Now everyone can benefit from a new measure of performance and durability. • Eagle™ technology provides an expanded, optimum, gear range making you fast on the flats, giving you control on the climbs and unleashing your speed on the descents. • Eagle™ is a complete drivetrain system that was developed to be an integrated high-performance ecosystem. The engineering and testing that went into the development provide for maximum performance, safety, and long-term durability to ensure a great consumer ride experience. We guarantee this performance when Eagle™ drivetrains are used as a complete ecosystem. For additional information, please contact your SRAM Sales Contact. • DUB™ technology features a uniform approach to bottom bracket fitment, better sealing against contamination and is forward and backward compatible.